Smoothies are currently my favorite go-to for a quick, delicious, and nutritious meal or snack. Depending on what you put into your smoothie, you can create a satisfying and healthy drink that can satiate hunger for hours (not to mention kick-start weight loss!) Smoothies are great because you can tweak them to get whatever nutrient your body is lacking. Do you struggle to get the recommended daily value of fruits and vegetables (at least 2 cups of fruit and 3 cups of vegetables per day)? A smoothie is a perfect solution for that! Does your digestive system moan and howl and hate you this post-holiday junk-eating season? “That was Easy”–there’s a smoothie for that! Feeling under the weather or lacking energy? Yup, you guessed it, the answer to your health ailments are smoothie and smoothie…nom nom nom (sorry, I’ve been dying to write that). 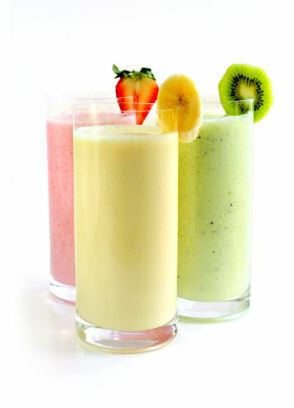 Below are some ideas for your own smoothie making creations and reasons why they are beneficial to your health. Keep in mind that there are thousands of ways to make a healthy smoothie and my suggestions below can (and should!) 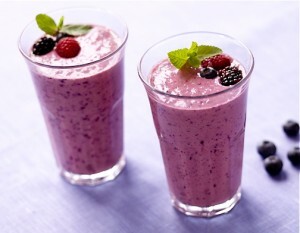 be experimented with to create a smoothie that satisfies your taste-buds desires. 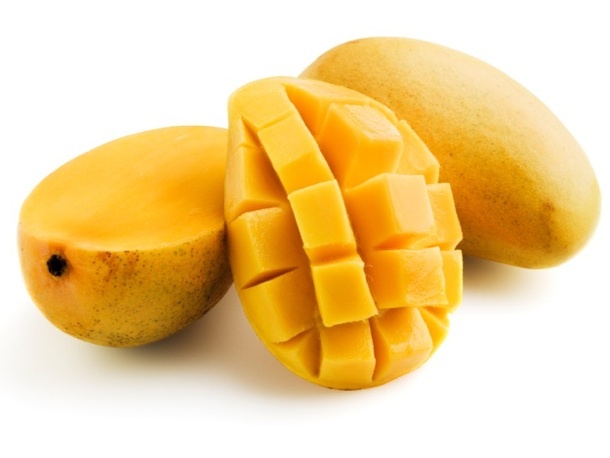 Also keep in mind that fruit is fruit and veggies are veggies, nutritionally it doesn’t matter whether you use it in frozen or fresh form; it will merely effect the texture and consistency of the smoothie! Antioxidants are substances in nutritious foods such as fruits, vegetables, nuts, seeds, and whole-grains. Some common antioxidants and foods that contain them include: vitamin A and carotenoids (carrots, squash, broccoli, sweet potatoes), lutein (dark green leafy veggies), lycopene (tomato, watermelon, pink grapefruit), vitamin C (citrus fruits, green peppers, strawberries), vitamin E (nuts, seeds, whole-grains), and lignans (oats, barley, flax seed, rye). 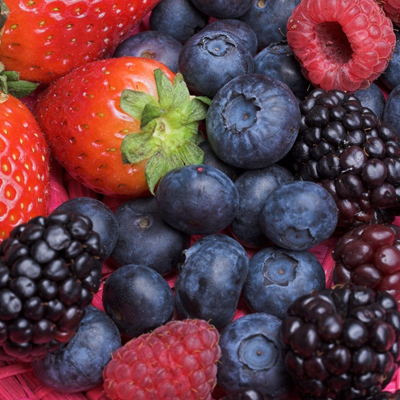 These antioxidants can protect against free radical damage in the body. Free radicals are created by the use of oxygen to breakdown food in the body (these free radicals aren’t always harmful) or induced by environmental exposures (such as UV radiation, tobacco smoke, and pollution—these are always harmful). Accumulation of free radicals in the body can damage and mutate cells; potentially leading to the formation of a number of different diseases and a weakened immune system. From a chemistry standpoint, a free radical is an atom or molecule that has a single, unpaired electron in its furthest outer shell. These free radical molecules cause stress in the body known as oxidative stress. Oxidative stress ranges in levels of severity but it can accumulate over time and ultimately cause death of cells in the body if not fought against. Never fear! Antioxidants fight against this oxidative stress working as small heroes called reducing agents. These reducing agents ‘reduce’ the harmful effects of free radicals by attaching on to the free radical’s lone electron–fighting to prevent the mutation of cells. Just a simple little chemistry lesson you can teach your friends! Needless to say, it is important to get lots of antioxidants in your diet each and every day because it is impossible to prevent ALL free radical damage. Think about it this way, the more antioxidants you consume, the less you have to worry about disease inducing free radicals building up inside your body. Pumping antioxidants from nutritious sources into your body will serve as your body’s prevention and protection system. 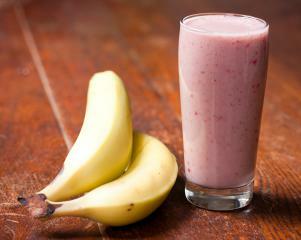 Here are some smoothie ideas that are loaded with disease fighting antioxidants. 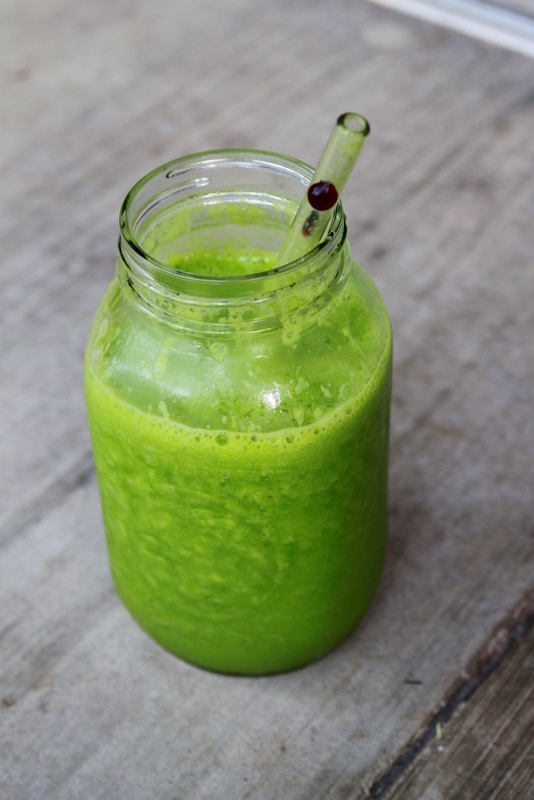 This smoothie is literally bright lime green—really pretty! 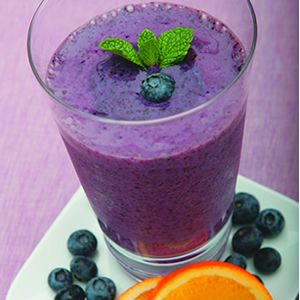 This smoothie is rich in vitamins A and C (antioxidants) and the mineral zinc. It can help increase the production of white blood cells in the body which will help fight your body against winter’s harsh infections and viruses! Note: For any of these smoothie suggestions, if a number is not specified (as in how much water or ice to use) start small (about 1/3 to 1/2 a cup) and add more if needed to reach the desired smoothie consistency. Water will give the drink more of a smooth, shake-like texture while ice-cubes will give it that cold, smoothie consistency. Look back next week for Part 2 of my smoothie blog–Smoothie goodness: Digestive Health!